Triple Australian motocross champion Dean Ferris has notified the CDR Yamaha Monster Energy Team that he won’t be defending his Pirelli MX Nationals championship in 2019, instead revealing he has committed to racing in the US full-time. At 28 years of age, Ferris will turn his back on a relatively lucrative domestic career with the factory Yamaha organisation in a bid to establish himself as one of the stars of America’s Lucas Oil Pro Motocross series. 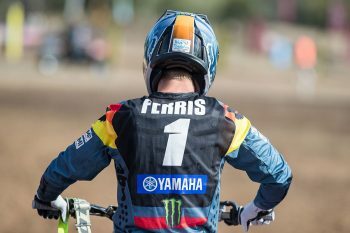 Ferris has declared he will take his young family overseas ahead of the 2019 season, however currently remains a free-agent in the lead-up to next May’s outdoor season in a move that could see him become one of the sport’s most sought-after signings. He has decided not to contest the AMA Supercross season, solely focusing on the outdoors. “It’s no secret that I’ve been trying to get to the USA now for a year or two,” Ferris told MotoOnline.com.au this afternoon on the eve of Coolum’s MX Nationals finals, just one week after he sealed a third-consecutive MX1 crown. “I’ve always had the aspiration to go back and race internationally and the time’s come. 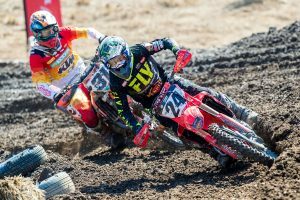 This season’s MX Nationals series has seen Ferris largely unchallenged, winning each of the nine overalls to date in the 10-round title-chase, and it’s his second-place moto finish from last year’s High Point round of Pro Motocross that has him certain he would be competitive in America. “The money’s not what it’s all about,” he added. “Ever since I was a young boy I wanted to challenge myself and I think I’ve got a lot to offer. Last year, when I went over there with little preparation and with a good little crew, I got a pretty good result. I can only imagine if I set up there and get on a solid program with a good bike, I feel like I can get even better than I am now. I have that desire to go and to give it a real good crack. The decision to sit out supercross, which spans between January through early May, is one that will enable Ferris to concentrate on his outdoor intentions, even though he has proven ultra-competitive within the stadiums by finishing third in the Australian SX1 championship during 2017. The year prior he was runner-up to US import and dual champion Justin Brayton. One thing that is certain is that Ferris won’t be forming part of Team Australia at RedBud’s FIM Motocross of Nations (MXoN) in October, since it clashes with round two of the Australian Supercross Championship at Coolum. 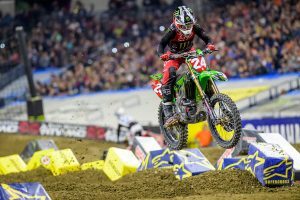 His current CDR contract saw him commit to supercross and he wants to follow through with his strongest title challenge yet. Ferris’ decision to depart Australia leaves a major void at the CDR Yamaha Monster Energy Team, which has captured eight MX1 outdoor championships over the past decade with Jay Marmont (2008-2011), Josh Coppins (2012) and Ferris (2016-2018). Marmont’s four-straight premier class titles with CDR is a record that Ferris would have been in line to match if he were to stay on for 2019. Following a grand prix campaign between 2012 and 2015, including brief stint in the US with Red Bull KTM prior to being injured in 2014, Ferris returned home to CDR Yamaha in 2016 and has vastly developed on and off the track since. He is still regarded as one of the country’s top exports from those early parts of his career, winning multiple MX2 GP motos and the overall in Belgium back in 2013 alongside a number of standout MXoN performances.